The ideal BUSINESS ANALYST: HEALTHCARE IT will have 3+ years of experience in an agile development environment and the desire to contribute to the continued efficiency of healthcare delivery. I enjoy working with candidates and clients to help match people to the culture and professional opportunities that will guarantee success. 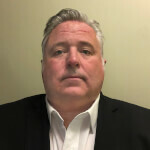 John Broker joined Goodwin Recruiting in May 2018. John is from New Haven, Connecticut. He attended Marist College where he received a BS in Political Science. John has been a recruiter for 6 years, starting in the hedge fund and private equity space. John also has manufacturing, engineering, healthcare, and leadership experience. He brings a broad base of experience in urban planning, organizational consulting, international sports, sports marketing, and media. In his spare time, John is a high school rugby coach and sports broadcaster.